The current Constitution of Ireland came into force on December 29, 1937. 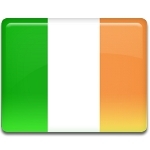 Anniversary of this event is celebrated in Ireland as Constitution Day. The constitution is a fundamental law of Ireland. It guarantees certain fundamental rights and foresees bicameral parliament, non-executive president, separation of powers and judicial review. This is the second constitution of the state since Ireland declared its independence from the United Kingdom on December 6, 1922. The first constitution of Ireland was adopted in 1922, but it was seen by many to be controversial, that is why a long way towards a new constitution was started. On July 1, 1937 a national plebiscite took place and it passed the draft of the constitution. It formally came into force on December 29, 1937. Constitution Day is not a public holiday in Ireland. Since the date of celebration almost falls on the New Year's Eve, many banks and government offices are already closed, providing people with a long holiday.